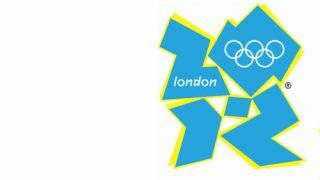 The Olympic flame is on its way to the UK, and so starts the countdown to several months' worth of travel disruption throughout the UK. So why not practice for the disruption during tomorrows National Work from Home day, and to help things along Citrix are offering 90 day free trials to its online collaboration software. The impending disruption is not just limited to London, it's also anticipated that it will affect other cities hosting Olympic events around the country, and according to research from SunGard 43% of businesses are expecting supply chains to break down during the Olympics. In preparation The Work Wise UK initiative- a combination of public and private sectors, professional bodies and trade unions – has declared that tomorrow is national Work from Home day. To help support businesses through the expected disruption from the Olympics Citrix are offering a free 90-day trial of online meeting software GoToMeeting and GoToMyPC. Andrew Millard, senior director marketing, EMEA, Citrix Online Service Division, says: "The Work From Home day is an important initiative that can also provide businesses with a valuable opportunity to trial their remote working strategy, ahead of the London 2012 Olympics." For more information on the potential disruption, the rail and road transport agencies have developed a website getaheadofthegames.com, to give support, advice and tools to help businesses reduce the disruption caused by the games.